Iran's culture minister said Monday that his country will boycott the 2013 Oscars in the wake of the anti-Islam video made in the United States that denigrates the Prophet Muhammad. An Iranian film won an Oscar in the foreign film category in February. 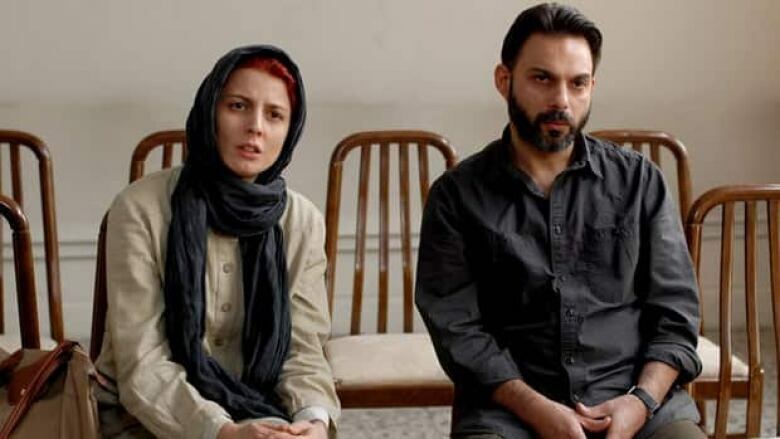 But Mohammed Hosseini said the Islamic Republic would not field an entry for next year's awards due to the low-budget video he dubbed "an intolerable insult to the Prophet of Islam," the semiofficial ISNA news agency reported. Hosseini urged other Islamic countries to also boycott. He confirmed that the committee in charge of selecting Iran's entry has already picked Ye Habbeh Ghand (A Cube of Sugar) — a film about a family wedding turning into a funeral when the groom's relative dies — to compete for best foreign film. Iranian director Asghar Farhadi won the 2012 Oscar for best foreign film for his movie, A Separation — the first such prize for Iran. Tehran officialdom welcomed the Oscar, especially as Farhadi beat an Israeli film and three others in the foreign language category, describing it as a conquest for Iranian culture and a blow for Israel's perceived outsized influence in America. But Iranian hard-liners were also upset by the movie's exposure of the troubles in Iranian society through the story of a collapsing marriage. Iranian authorities have long had an uneasy relationship with the country's filmmakers and influential clerics have often denounced the domestic cinema as dominated by Western-tainted liberals and political dissenters. Earlier on Monday, Javad Shamaghdari, head of the government-controlled cinema agency, said the Oscars should be boycotted until the organizers denounce the anti-Islam film entitled Innocence of Muslims, which has prompted outrage among Muslims around the world. At least 51 people, including the U.S. ambassador to Libya, have been killed in violence linked to protests over the film, which also has renewed debate over freedom of expression in the U.S. and in Europe. Also Monday, many Internet users in Tehran and other Iranian cities reported having no access to their Gmail accounts. The difficulties come a day after Abdolsamad Khoramabadi, a member of the government body responsible for Internet oversight in Iran, said authorities would block access to Google services, including Gmail and the Internet giant's search engine, in response to the film posted on YouTube, which is owned by Google. There were no reported problems accessing Google's search engine in Iran on Monday.